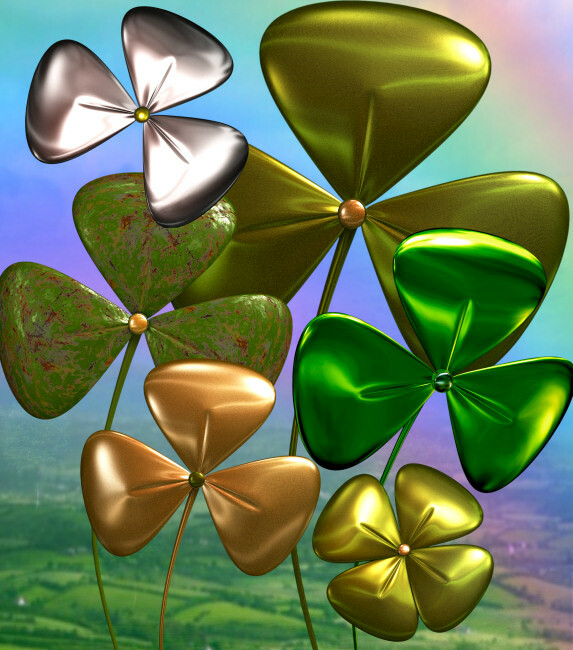 A treasure trove of metallic shamrock graphics on transparent backgrounds. Nothing says good luck like a shamrock! 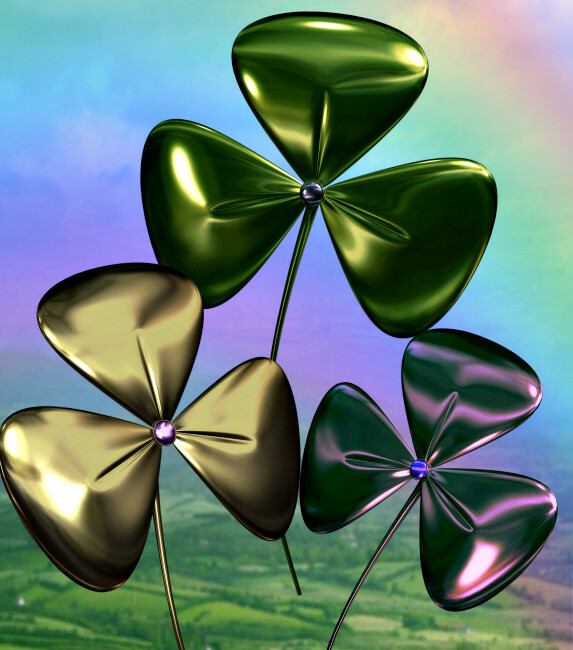 An assortment of beautiful metallic shamrocks for your St. Patrick’s Day designs. They’re eye-catching and festive. They will make perfect embellishments for countless projects. They come in many vivid colors, and so you’re sure to find the perfect shamrock for your creation. This package also has a version of the shamrock seamless tile that I used on this page. You’ll find many more, here. In fact, you’ll find a treasure trove worth of graphics, including, jeweled clovers, ribbons, bows, swirls, seamless tiles, frames, green roses, a pot of gold, leprechauns, and much more. There are 37 royalty free, high-quality clip art PNG images included in this package. All of these graphics have transparent backgrounds (except for the backgrounds) making it easy for you to use them as tubes or nozzles–or merely to drop into your design. The size of these backgrounds are 2293 x 2600 pixels. All are 300 DPI, making them great for print projects. This package is one zip file, which is approximately 45 MB.